How to relieve arthritis pain, Pain in Knee joint and Hip joint. more susceptible such as knee joint and hip joint. Pain, Stiffness, swelling and inflammation are the common manifestations of Arthritis. There some diseases which causes joint pain such as autoimmune diseases of joints, gout, post menopausal syndrome, estrogen insufficiency in women, hypocalcimia, rickets, osteomalacia. Fortunately Now there are many ways to relieve the arthritis pain. Non-steroidal anti-inflammatory drugs are effective. Aspirin has been used for this purpose for decades. The newly diagnosed patients are given aspirin for pain relief. If Over the counter drugs don't work Consult your reuhmatologist, you may have required stronger medication for pain relief. Use topical ointments which contain capsaicin (Cayenne pepper derivative.) for best results. Start exercise. Exercise will increase the pain when you start. But it is very effective in long term relieve of pain. Exercise do so by increasing the blood flow to joints and strengthening the surrounding muscles. Use Ice packs. Ice packs decrease the inflammation (and also pain with it). It also numb the area temporarily. Soak in Warm water tub. warm water will relax your muscles and increase your blood flow. It decreases pain remarkably. Try this. 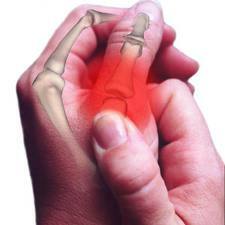 Arthritis is a painful condition which mostly occurs at the middle age. Sedentary lifestyle is one of the causes which contribute to such a condition. You have written a nice article which highlights how to deal with the condition.